With the next Nike KD 10 selection, the Swoosh ushers in some Foamposite vibes to create a look that has never been seen before with the Durantula’s signature collection. Exclusive to Kids, this offering takes clear design cues from the iconic Nike Air Foamposite “Royal” with a shell-like upper and a similar color blocking technique. With Durant being from the DMV area, and that being a hotbed for Foamposites – this pairing makes perfect sense. 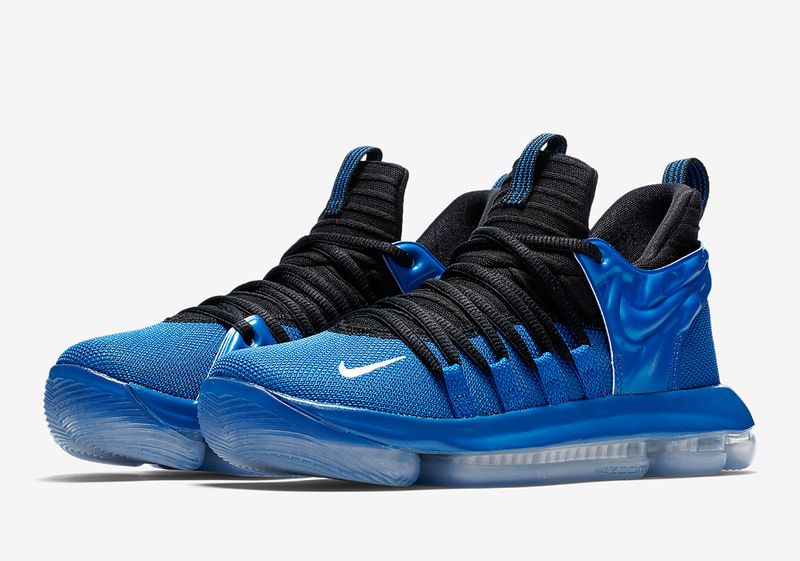 Units will arrive at Nike Basketball retailers on April 14th with an MSRP of $125 USD.